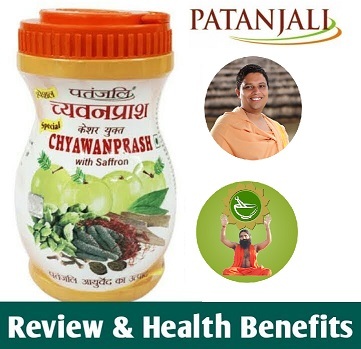 Divya Chandraprabha vati is a ayurvedic medicine by baba ramdev to supports urinary system and immune system it also promotes strength and nourishment to the body in all ways. According to top ayurveda gurus Divya Chandraprabha Vati nourishes tissue elements (rasa, rakta, etc.) from weakness ( emaciation ), paleness of body, suppression of the power of digestion, dyspnoea caused by little effort shrunken eyes; anorexia (loss of appetite); alleviates vayu and makes the body lustrous as well as splendorous after nourishing it. What is the main disease indication this is used for? Although traditionally was used for various types of Kapha disorders. 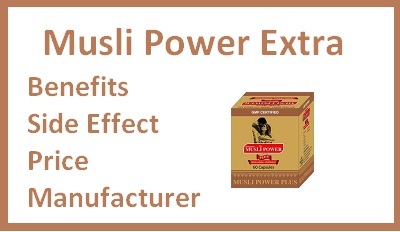 But now is also used in the maintenance of healthy urinary tract & giving strength to over all body, Supports the proper functioning of reproductive system. 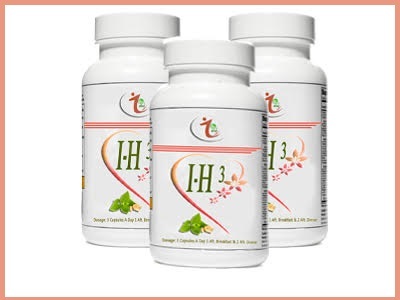 Promotes balanced blood sugar levels. Helps to relieve burning urination. Aconitum heterophyllum is harvested for its tubers. These tubers constitute the Ayurvedic plant drug “Ativisa” which is included in the Ayurvedic Formulary of India. During collection the whole plant is uprooted. It has been observed, as well as inferred, that the trend of unsustainable collection practice is continuing. 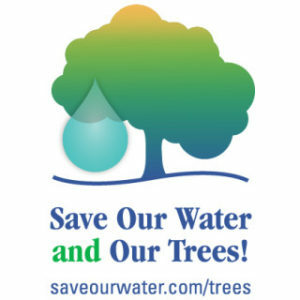 Inference has been drawn regarding the decline in area of occupancy (AOO) and habitat quality based on observations, as well as circumstantial evidence. The species has sizeable market demand on account of its commercial use as a plant drug and the level of exploitation is high. In the CAMP workshop organised at Shimla in 2003 it was collectively agreed by the experts that c. 70% of the wild population in India had declined over the previous ten years. The species was therefore assessed as Endangered (EN). As the situation has not improved, the same status is still valid (D. Ved, D. Saha, K. Ravikumar and K. Haridasan pers. comm. 2015). This species is endemic to the Himalayan region extending from northern Pakistan, the Indian State of Jammu and Kashmir, Himachal Pradesh, Uttarakhand (India) and further up to Nepal. Thus the majority of the wild population is in the Indian Himalaya. The situation in India is therefore considered representative of the global population of the species. The Medicinal plant Terminalia bellerica also known as Baheda is native to India and grows throughout the country especially in lower hill areas. The plant grows up to 60-80 feet height. The trunk is straight and dark brown in colour. The leaves are broad, oval and 4-8 inches long. Leaves are crowded towards the end of the branch and tips are pointed. The flowers grow in both upper and lower part. The upper flowers are male and lower flowers are bisexual. When the fruit dries, it looks like a pentagon and is fibrous. In Sanskrit, it is called as ‘Vibheeta,’ which actually means the one which takes away the fear of disease. Prameha is a syndrome described in the ancient Ayurvedic texts that includes clinical conditions involved in obesity, prediabetes, diabetes mellitus, and metabolic syndrome. MATERIALS AND METHODS: Integrating the theory and modalities of Ayurveda in the management of these disorders may prove to be beneficial. 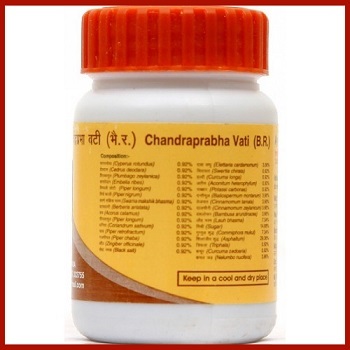 Chandraprabha Vati is a famous ayurvedic formulation which is made by nearly all ayurvedic companies like Zandu, Dabur, Baidnath Baidyanath, Shri Shri Surya herbals & other. 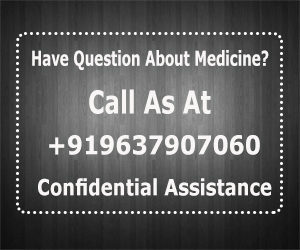 According to reviews available on internet Dabur & Divya products are working best to the said problems & are available easily in every city. Divya Chandraprabha Vati price in India is Rs. 40 to Rs. 105 based on paacking size on most of the online shop. 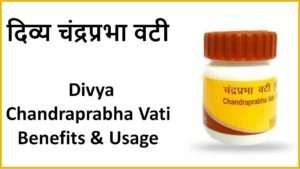 Divya Chandraprabha Vati comes in a pack of 20, 40 & 60 grams plastic container pack. 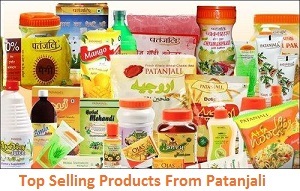 Another option is to purchase from your local shops please call Patanjali Customer Service at 01334 227 444 to know the address of retail outlet in your city.